​Videos for the tutorial sessions and the debate sessions ​are available. Go to Videos. Feb 2: The videos for the tutorial sessions and the debate sessions are available. Go to Videos. Jan 25: For participants: please take a few minutes to complete the web survey. We would really appreciate your feedback. ​This survey will be closed on Feb. 8. Jan 25: The 2019 CoRN meeting successfully took take place in Okazaki, Japan, with 11 talks, 17 posters and more than 70 participants. Thank you very much. Jan 19: Live streaming will be available for the tutorial sessions and the debate session. Go to https://www.youtube.com/user/pooneil68/live. Jan 15: Abstract submission for poster was closed. Jan 10: The preliminary version of a program booklet (ver. 0.99) is available for download. Jan 9: The deadline for abstract submission for poster was extended to January 15, 2019. Jan 7: A tentative schedule with titles of the talks was uploaded. Jan 7: Information about a satellite workshop ("Artificial Intelligence Beyond Now: Can AI Be Conscious?") was added. Go to Satellite workshop page for detail. Jan 5: Reservation for Mishima lodge was closed. A list of hotels around the venue is available from the institute web site: ﻿Hotels﻿. ​​Dec 14: We added three talks after careful consideration of submitted abstracts. ​​Dec 13: The talk by Dr. Qiufang Fu was cancelled. ​Dec 1: Abstract submission for oral presentation was closed. Sep 10: The web site was open. 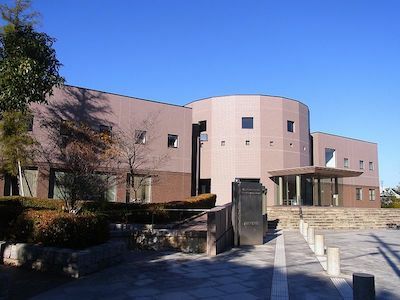 The second meeting of Consciousness Research Network (CoRN 2019) will be held at ﻿the Okazaki Conference Center﻿ (Aichi, Japan) in January 23-25, 2019. The presentations will be given in English. The registration itself is free (0 yen) but we will ask you to pay for the following fee at the registration desk according to your choice between [Get-together on the 1st day + coffee and snack on the 1st-3rd days: 1,500 yen] or [Coffee and snack on the 1st-3rd days: 500 yen]. Update (Jan 5): Reservation for Mishima lodge was closed. Below is just for participants who have their reservation. (Closed) The Institute has one accommodation facility (Mishima Lodge) for visiting researchers. It is a 5min-walk from the venue (The Okazaki Conference Center). We secured a limited number of rooms (~20) at Mishima Lodge. If you wish to reserve a room, indicate it at the registration page. The fee will be 2,400 or 2,600 yen per night. News on Jan 19: ​Live streaming will be available for the tutorial sessions and the debate sessions. Go to https://www.youtube.com/user/pooneil68/live. To facilitate discussion between scientists and philosophers for future collaborations, the organizers added debate sessions and tutorial sessions to the program. On the debate sessions, we chose two topics. Debate session #1 "How to collaborate philosophy and science for consciousness research?" Debate session #2 "Theoretical approaches to consciousness research: Is it necessary? Is it possible?" To encourage the participants to join the discussion, tutorial sessions were used as an introduction to the relevant issues that will be discussed in the debate session. Previously we had successful debate sessions in a satellite symposium for the Japan Neuroscience Society ("Beyond NCC" ) held in July 2017. The debate session in CoRN 2019 can be regarded as an sequel to the symposium. "Tutorial for scientists on the philosophical problems of consciousness"
13:30-15:00: Debate session #1 "How to collaborate philosophy and science for consciousness research?" 13:30-15:00: Debate session #2 "Theoretical approaches to consciousness research: Is it necessary? Is it possible?"